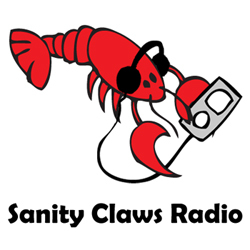 Sanity Claws Radio – October 2018 Catch Up! Lindsay, Mike, Scotty, Karen, Jon and unexpected guests A.J. and Indentured Logan talk about what we’ve been up to in this extended roundtable catch up session! Karen and Scott relive the glories of LAN gaming, Mike has computer problems, Lyndsay watches all of the cartoons, Jon attempts to play all of the games, and A.J. and Indentured Logan get into some D&D. Then, we finish the show with a listener controlled round of I Can Top That! ← Demon Lobster RP: The Return of Heroes Episode 6!